Need a case with prototyping space for your shiny Raspberry Pi Zero? 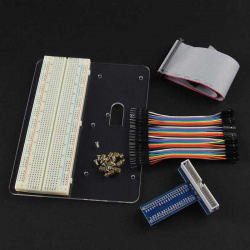 With Breadboard, Male to Female jumper cables, T type 40Pin GPIO, Ribbon Cable. Brand new high quality anti-static wrist strap with grounding lead and clip to prevent ESD damage to sensitive electronic components or equipment. 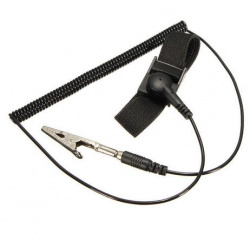 The wrist strap with alligator clip tip is fully adjustable. The inner conducting layer is made of stainless steel filaments. The lead is made from durable polyurethane coated coil cords. 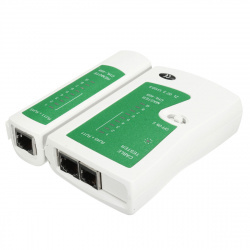 The cable tester can be used for RJ45 networks, RJ11 and telephone cables. It can test the cables with reliable accuracy. 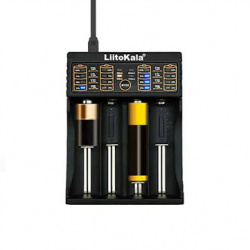 This is a useful tool for technicians in installation and maintenance. 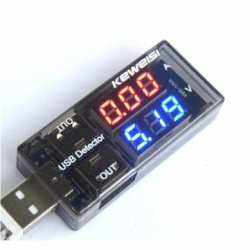 Use the USB Charger Doctor to measure the working voltage and current output for any USB port and project. 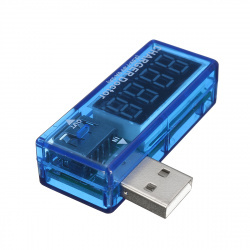 This plastic dongle plugs between a USB device, and passes the data lines through. There's a 0.05 ohm resistor in line with the power pin that is used to measure current draw. The Doctor's digital display instantly reads the numbers out for testing devices such as chargers, cables, and cell phones. You can use this device from 3.5-7VDC input voltage (although most USB devices tend to hover around 4.75 to 5.25) and up to 3A of current. 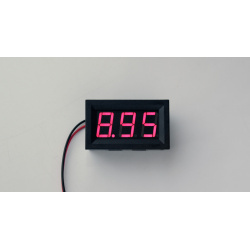 It displays both voltage and current readouts. 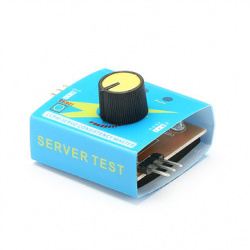 It's a very handy tool for testing USB devices, checking load levels and debugging battery chargers and boost converters. Adjustment Methods: Manual, Neutral, Automatic. Small size,low power consumption,high reliability and easy operation. It can easily detect and configure server virtual bit, jitter and middle position. This product can't test a servo with a weight more than 55g. If you want to test the motor,please first connect the ESC. 1. Portable style with perfect shape. 2. The mouth of the press-pliers is made of steel, which is hard and durable. 3. It won't damage the shelled-wire and work conveniently with high efficiency. 4. While using press-pliers, just insert the modular plug into its position and press it. 2. Test correspondingly double-twisted cables 1, 2, 3, 4, 5, 6, 7, 8 and Ground. 3. Can judge wrong connection, short circuit and open circuit. 4. Put cables into both main tester and remote tester. 5. The lights of the main tester will turn on sequently from 1 to G.
6. 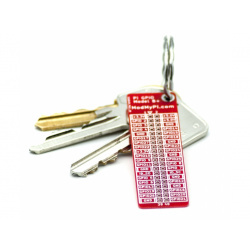 Detachable remote tester, test remote cable up to 1000ft. in length. 7. Power supply: DC 9V battery. 8. Come with protective leather case. 2. 8 Pins Network Cable Heads / Plugs. Plugs for UTP Cat5, Cat5e solid or stranded wire solid or stranded Cable. Need a case with prototyping space for your shiny Raspberry Pi Zero, we've got on for you! Made with our trademark stealth-matte black acrylic, and accented with clear (to leave the good bits visible), the case itself is constructed 4 unique acrylic layers, and comes complete with a side by side half-size breadboard for all your hacking needs! 1. This module is suitable for indoor use only. 2. Applied load can not exceed the rated power. 3. The wiring order can not be wrong. 4. This is an entry level measuring solution. Do not expect 100% accuracy. Network voltage direct power supply, no external power supply needed, measurement precision, large-screen LCD liquid crystal screen display clearly. 1. electrical parameter measurement function (voltage, current, active power, power). 2. overload alarm function (over power alarm threshold, the backlight and power flicker tips). 3. The power alarm threshold preset function (can set up their own power alarm threshold). 4. Power button clear function. 5. Power-down data storage function. 6. 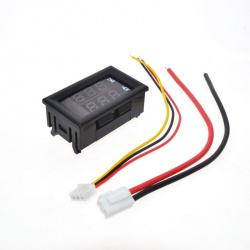 Large-screen LCD screen full display function (display voltage, current, active power, power). 10kW above the display format 10.0 ~ 22.0kW. Display Format 0.00 ~ 99.99A. Why is the test data wrong? Voltage * Current = Power, But power is less than the actual test voltage * Current, Why is that? P = U * I * cosφ, cosφ it represents the power factor, purely resistive load (Such as incandescent, heater, etc.) the power factor is generally close to 1,Between the inductive and capacitive load load power factor 0-1. So purely resistive load test time, P is substantially equal to or close to U * I. When Inductive or capacitive load test (Such as refrigerators, washing machines, televisions, computers, etc.) P<U*I, As for how much to keep the power factor related to the specific, Different for each appliance power factor. 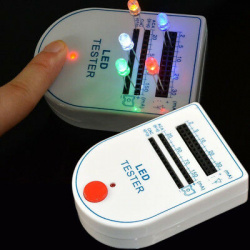 Handy device for testing LED's. Simply plug your LED into the correct holes (all of which are marked) and push the button to see its brightness, illuminant color, etc. 2. Double circuit electronic, anti-friction. 3. Loop length can be adjusted. 4. Easy to use and flexible, long life and does not produce dust. 6. Use of "point discharge" principle, to achieve electrostatic collection and release. You can use this device from 3.5-7VDC input voltage (although most USB devices tend to hover around 4.75 to 5.25) and up to 3A of current. It flips between voltage and current readouts every 3 seconds or so. It's a very handy tool for testing USB devices, checking load levels and debugging battery chargers and boost converters.